We are blown away by the response we have received in the [inaugural] year and believe this will be a wonderful program that will help us with our mission to provide education through aviation. The Academy of Model Aeronautics (AMA), host organization for UAS4STEM, in conjunction with six AMA clubs, has selected the regional locations for its first year of competition. The national competition will be held at the International Aeromodeling Center, located in Muncie, IN, on August 21, 2016. 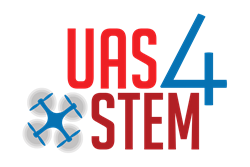 UAS4STEM was designed by the AMA to encourage teamwork, competition, and success through a STEM-based education platform. The new UAS4STEM program will provide student teams of four to eight people with training, insurance, licensing, and equipment to compete in search-and-rescue challenges. The program is managed by AMA’s Education department as part of the AMA Flight School. Each of the 75 teams will be required to complete an online curriculum that includes safety training, programming and building information, and flight training. The registration period for this year’s challenge has ended. Teams paid the introductory fee of $1,995, which included licenses for each student, a Quadzilla quadcopter kit, all necessary support equipment (except a laptop computer), a full online curriculum, an online video series, AMA memberships for the students, and competition entry fees. Teams were limited to eight members, who had to be between 11 and 19 years old to participate. Registration for next year’s challenge begins June 1, 2016. To learn more about the competition, please visit http://www.uas4stem.org. AMA continues to embrace new technology and increase its educational efforts. AMA has granted more than $900,000 in scholarships to Youth members wishing to pursue higher education, and reached a milestone of 50,000 students in its AMA Youth program in 2015. Additional information about AMA’s educational resources can be found by visiting http://www.amaflightschool.org.